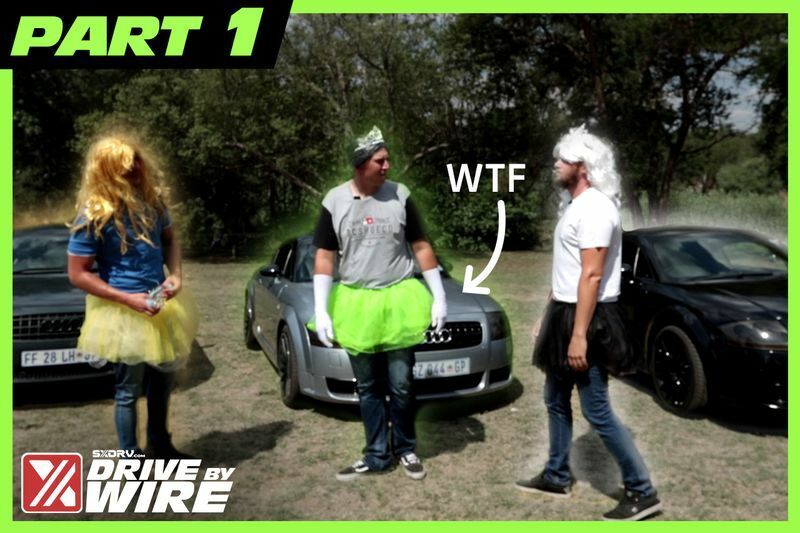 Welcome back to yet another misadventure with the SXdrv lads as they do their darndest to destroy the cliché that Audi TTs are hairdressers cars as they road trip to the Hartbeesport Cableway to meet the lovely Maya Mia. Here, in part 1, Chris, Roscoe and Mike are told to get their hands on an Audi TT each and meet up in a park near Fourways in Johannesburg. Their mission: To drive out to the Harties Cableway to meet with YouTuber and model, Maya Mia, for an interview. As expected though, a road trip with SXdrv always includes some unexpected surprises as the rest of the crew like to challenge the boys. And what would a day out with three TT's be without tea, tiaras and tutu's? Needless to say, what is usually a scenic drive to the foothills of the picturesque Magaliesburg is turned into a hilarious event filled with cops, traffic and a big box of tricks! Don't forget to check back for part 2, coming soon, and leave us a comment on our Facebook page. Is The Audi R8 About To Go Rear-wheel Drive? Audi Needs To Build More Suvs Before Launching Wild Halo Car! Why The F*%#! Audi Plans To Add More Alphanumeric To Its Names!